Thank you to everyone who kindly donated a gift for the christmas appeal. We were very lucky to have a days boat fishing from Don Coe Head of Leisure at Northumbrian Water to raffle to the highest bidder. 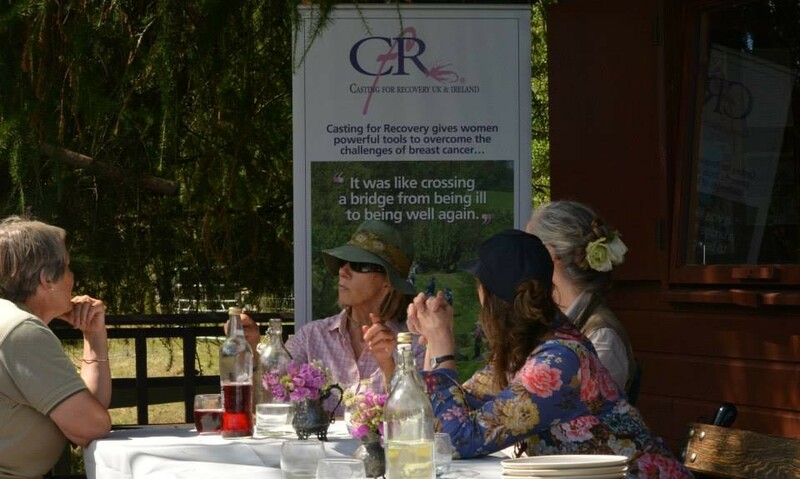 We’ve also received donations, in total we raised £55, a cheque was handed over yesterday. Dredging for TT2 is progressing well, back inside the original window, with half of the anticipated volume of material being removed by 25th November. The dredged material is being used to simultaneously in fill the Tyne Dock. The continual monitoring provided by five water quality buoys has showed full compliance with the limits imposed by the Environment Agency. The dredger is currently dredging the trench from mid river towards the North Bank, into Howden Basin. 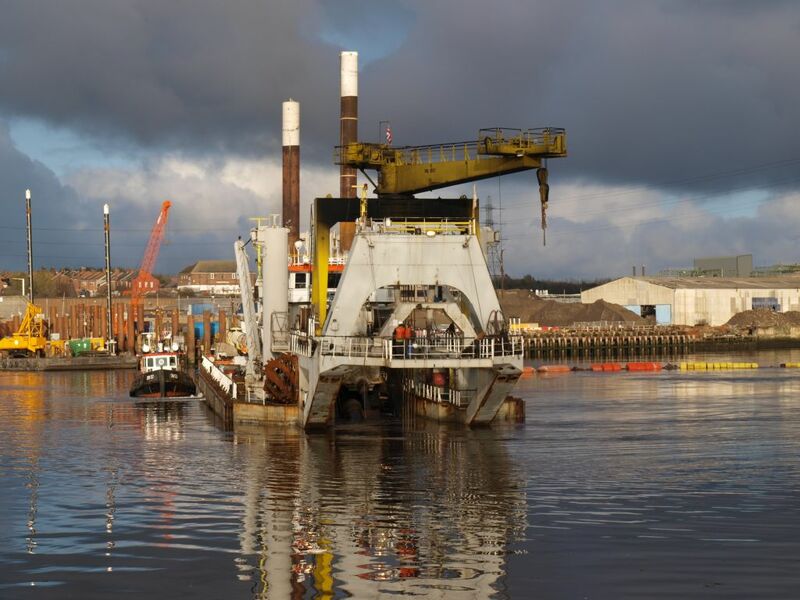 As part of the agreement to build the second Tyne crossing the Tyne Riparian Owners and Occupiers Association (TROOA) and the Environment Agency arranged separate but linked mitigation agreements designed to monitor and mitigate for the effects of the tunnel construction on the river. The dredger has removed material reaching the mudstones and a depth of 23m on the South side. Deeper excavation was completed in 30th Nov, when lower spring tides allow the dredger to reach the required depth. The continual water quality monitoring has shown negligible impact between the river quality upstream and downstream of the dredging. It is anticipated that the dredge should be completed in the week before Christmas. We are proud to announce our new logo’s to support our ambassador promotion in the North East. Our new logo’s have been designed to spearhead the campaign to promote Ladies Fishing in the North of England. Our ‘Passionate about Ladies Fishing and Fishing’ logos demonstrates our passion for the North East, and shows we are proud to play our part in the drive to improve the image and economic prospects of the region. Passionate people are the region’s greatest asset and have already been crucial to the success of the Regional Image Campaign. Becoming an ambassador for North East England is an opportunity for us to spread the word about the region. It’s a great place to invest, fish and relax on some of the finest river’s and still waters in the UK, enjoy the excellent hospitality from the fisheries and instructors in the region, and make a real difference to the future success of fishing and the North East England. 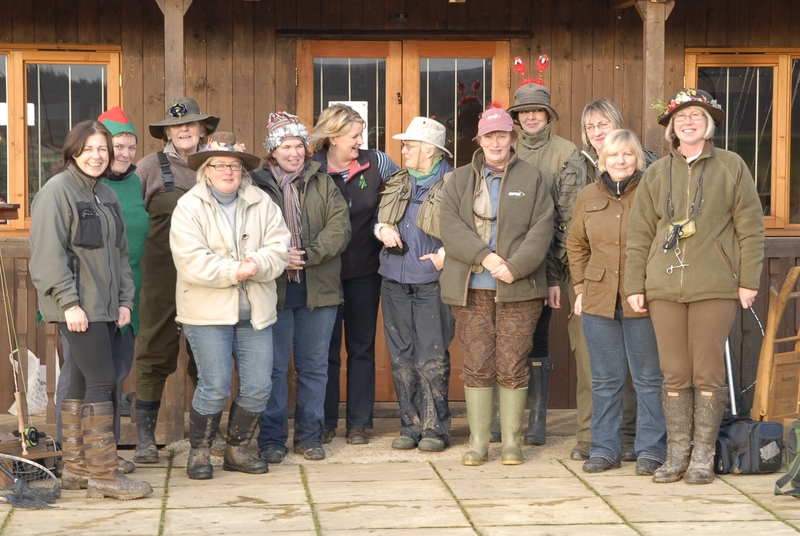 Thank you to all the ladies who joined us on our Christmas Fishing Event organised by Trish. We could not have picked a better day to have our last event of 2009, glorious sunshine, no breeze and above zero (warmish) temperatures for December. Everyone gathered in the lodge from 9am to discuss the days fishing over croissants and coffee. Paul and Anne made 3 flies for every lady attending, traditional still water flies Christmas Tree, Jack Frost and Grizzle Damsel. Now you all might like to know which flies fished the best (caught most fish) Winner is Christmas Tree, followed a close second Grizzle Damsel and last but not least because it caught fish Jack Frost.